This Wikipedia website provides information about the various concentrations of uranium used for different applications. Topics include a brief description of the grades of uranium and methods of isotope separation. 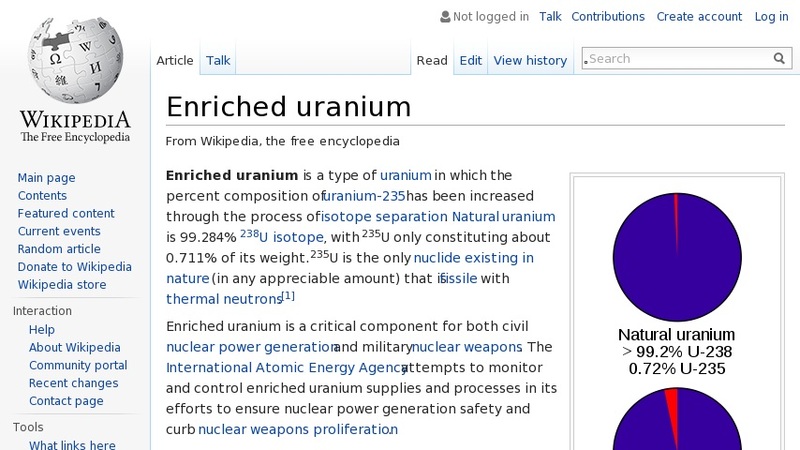 There are also links to other aspects of uranium enrichment and related information. This information lays the foundation for informed discussion about the potential of nuclear energy and the risks of nuclear proliferation.